Methylglyoxal, a molecule also produce by human body, it is one of the substances with an anti cancer potential that stands out. Dr. William F. Koch (1885-1967) (appointed Professor of Physiology at the Detroit College of Medicine in 1914, and subsequently became Chairman of that Department) published a paper entitled “A NEW AND SUCCESSFUL TREATMENT AND DIAGNOSIS OF CANCER”. In this paper he was stating the following: “This substance when purified, taken up in water and immediately injected subcutaneously into a cancer patient, causes practically no local reaction; but instead, after about 24 hours, a very decided focal reaction takes place. Wherever the cancer tissue may be, its’ cells are killed, their ionic concentration increases, the osmotic pressure increases, they take up water, swell and disintegrate. The swelling causes pain and the absorbed, disintegrated products are oxidized causing fever.”“Those two things, focal pain and fever, constitute a reaction which lasts all the way from 6 to 48 hours, depending upon the amount of cancer tissue killed, and of course this depends upon the quantity of substance injected. Such a reaction occurs only in cancer cases and only in the presence of cancer tissue. After the cancer tissue has disappeared, no more reaction can be elicited, no matter how large an injection is given, an important diagnostic aid. The specificity of the substance for cancer is evidenced by the fact that while giving these injections in rapid succession (that is daily or every two days for a period of five weeks), a blood count will rise from 2,850,000 to 4,600,000 red cells and the haemeglobin from 37% to 82%. Thus the delicate red cells are not injured. At the same time a mass of cancer tissue, the size of a large cabbage, will entirely disappear, and all the signs and symptoms of the particular cancer will disappear with it, function return, and the patient become clinically cured.“Stomach, liver and rectal cancers clear up the quickest. Uterus cancer responds slightly more slowly. Squamous cell carcinoma responds about one-half as fast as stomach cancer.” (Ref. )With his therapy W Koch successfully treated various cancer types. Here are a few examples of successful cases http://www.williamfkoch.com/web/version2/drkoch.php?id=151.0&dispID=disp(2);%20disp(3). There is so much to say about what happen following the success of Prof. Dr. William F. Koch, and at this link you can read all in details, but on short, unfortunately for the general health, Dr. Koch was never given the research facilities and cooperation by the medical profession he had asked for and wanted. So, despite offers, he never made the formula for his medicine available to medical groups or drug companies, for fear they would change and pervert it. The substance that Koch suggested he was using was O = C = C = O, and it was considered essentially nothing by FDA. Her is a quote “The formula was O = C = C = O, which means nothing, really” (Ref.) As a result, his drug was classified as a fraud by the FDA (Ref.). … Nearly 100 years latter, during 2015, here is a headline from the scientific news: “Existence of elusive molecule confirmed after more than a century”. (Ref.) This shows how scientist at University of Arizona, USA, have discovered a small molecule with only four atoms that was “never been observed, neither as a substance nor as a transient species, despite a century-long history of attempts”. And guess what was the molecule discovered? That was exactly O = C = C = O (OCCO), the same that dr. Koch was suggesting he was using to treat cancer and FDA was saying that it doesn’t exist :). This simple molecule was so hard to find because it splits into two carbon monoxide (CO) fragments after half a nanosecond or so of existence. The discovery was made in Sanov’s lab, when his graduate students were experimenting with glyoxal – a chemical compound with the formula OCHCHO. (Ref.). So Koch’s OCCO precursor is actually glyoxal. OCCO is now called ethylenedione. The relation between Koch’s work and Glyoxal is also shortly discussed here. This proves the fact that if you don’t see it doesn’t mean automatically that it doesn’t exist. It also means, quackwatch and FDA were wrong and need to update their statements on the above. Therefore, Koch succeeded to find a way to synthesizing OCCO and keep it stable somehow until giving it to the patient or use substances that would trigger its production in the human body (Ref. ), and with this cure cancer and other diseases. For more information on Koch’s story please see williamfkoch.com, a site maintained by the Koch family. Dr. Albert Szent-Gyorgyi was the Nobel Laureate in Medicine in 1937 for the isolation and discovery of Vitamin C. (Ref.) he also discovered Iso-Flavones and vitamin P. In his last 40 years, he researched the regulatory processes of cell growth, and thereby the regulation of cancer itself. As early as 1958, Szent-Györgyi also worked on Methylglyoxal and together with his collaborators, in their pioneering work on the biological role of Methylglyoxal, had put forward strong evidences for the anti-cancer and tumor growth inhibitory effect of Methylglyoxal. For example, they showed that Methylglyoxal could completely inhibit the tumor development in mice. Here is the ‘Science’ paper published in 1968: Cancerostatic Action of Methylglyoxal. Even earlier than that, in 1963, the prestigious magazine ‘Science’ published a remarkable article about his research. In it Dr. Szent-Gyorgyi identified two substances, one called Retine, which inhibited cancer growth (ascites tumors), and the other called Promine, which promoted cell growth and made cancer grow faster. (Ref.) He suggested that these were very small molecules that were highly potent in controlling cell division. His research using mice achieved shrinkage of tumors by increasing the ratio of Retine to Promine with daily injections of Retine. Other researchers obtained similar results and there were no harmful or toxic side effects. About 50 years latter Prof. dr. Manju Ray, a very good Indian scientist in Molecular Enzymology and Cancer Biochemistry, build on Methyloglyoxal’s anti cancer effects. In a series of papers, she further demonstrated the potential of Methyloglyoxal. But she did not stop to the theory. Instead she trialed the drug on 19 patients with very advanced stages of cancer and resulted in an overall cure rate of 70 percent in cancer patients who were diagnosed as terminally ill, results presented in 2001. In 2006 Prof. Dr. Manju Ray, presented a 5 year follow-up phase II study with methylglyoxal. It showed that of the 46 patients enrolled, 18 were in complete remission (so there were no tumors in clinical scans to see). The follow-up after 5 years of the patients took an average of 4 to 56 months. The results of the study showed that 18 (39%) patients achieved a complete remission, 18 (39%) patients had partial regression and / or stable disease, while 8 (17%) patients had progression of their disease.” After this, another successful clinical trial was conducted (see below). With all these results in humans, Prof. Ray clearly underpinned the great anticancer effect of Methylglyoxal. Methylglyoxal can also enable or increase the effectiveness of DNA disrupting chemo therapy (Ref.). 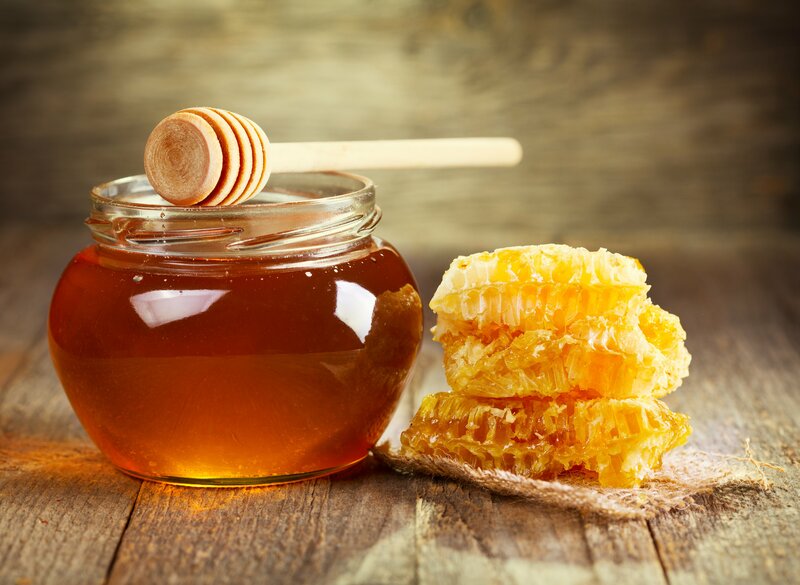 However, note that while the amount of Methylglyoxal present in the honey (250mg/kg) may serve as a good preventive measure, for cancer treatment purpose this is too little. Given the Methylglyoxal dose that is proposed to cure cancer (see the Dose and Administration section below), we would need to eat kilograms of honey each day, which is not feasible. This is why, as it will be further discussed, other sources of Methylglyoxal are used in the clinical trails. In first group (14 months, January 2000-February 2001) 24 patients were recruited and complete remission was observed for 11 patients and partial remission for 5 patients. In the second group (60 months, October 2000-September 2005) 46 patients were recruited and complete remission was observed for 18 patients and partial remission for 18 patients. In the third group (42 months, May 2005-October 2008) of the 23 patients complete remission was observed for 11 patients and partial remission for 7 patients. The treatment was found to be especially effective for adenocarcinoma of urinary bladder, breast, uterus, esophageal and gastrointestinal tract cancer. Several vital biochemical, radiological and other parameters were tested in patients who received treatment for a long time to assess the possible long term toxicity of methylglyoxal treatment, if any, and the results implicated no toxicity as per the parameter studied. Due to its mechanims of action it could complement anticancer strategies involving Chemo, 3BP, DCA, Artemisinin, and any other pro oxidant drug. Clearly, the results are great as they indicate 78% response rate, including 39% complete remission. Methylglyoxal (MG) is a highly reactive dicarbonyl compound and a potent glycating agent, mainly generated as a by-product of glycolysis through a spontaneous degradation of triosephosphates. In cancer, since the glycolytic pathways is highly active there is a lot of Methylglyoxal being produced. That is even more during the administration of DNA disrupting agents such as some of chemotheraphies (see next paragraph). Figure below shows how Methylglyoxal is produced inside the cell. Indeed, it has been shown that in mammalian cells, MG is detoxified by the glyoxalase system, an enzymatic pathway consisting of two enzymes called glyoxalase 1 (Glo-1) and glyoxalase 2 (Glo-2) and is based on reduced glutathione (GSH). It has been shown that Glo-1 expression and activity is increased in many human cancer types such as colon, prostate, melanoma, lung, and breast and that Glo-1 overexpression is correlated with cancer progression and drug resistance (Ref.). 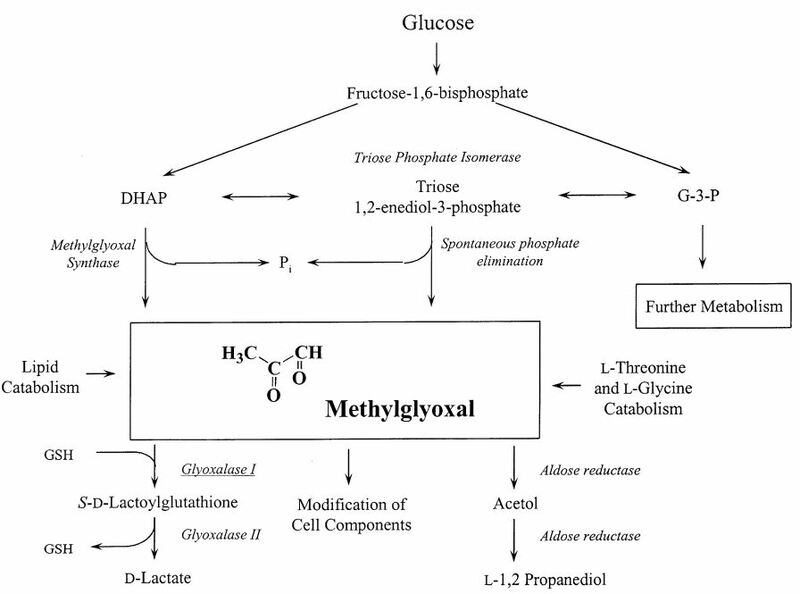 Accumulation of Methylglyoxal in cancer cells are known to lead to the inhibition of Glyceraldehyde-3-phosphate dehydrogenase (GAPDH) (Ref1, Ref2, Ref3), an essential enzyme acting in the glycolsisis pathway. GAPDH inhibition depletes ATP profoundly depriving the cancer cells of energy. Note that 3-bromopyruvate (3BP) is also inhibiting (GAPDH) (Ref1., Ref2.). One of the potential anticancer mechanisms of MG may be related to GABA A receptor. This is because MG seems to be an activator of GABA A receptor (Ref.). And GABA is known to show anti cancer activity via the GABA A receptor (Ref.1, Ref.2). As a side note the activation of GABA A receptor triggers an influx of Cl- ions (Ref.). Although in the clinical studies they did not used Creatine, following these statements, I would clearly make sure that (maybe 30-60 minutes) prior to each MG administration there is a Creatine supplement administer too. In acute conditions 1-3 times daily 1 ampoule (of 2ml) injected intramuscularly (im) or subcutaneously (sc). (Ref.) The vial can be administrated sublingual but is is preferred via injection, i.m. or s.c. I will soon have a look at the encapsulation of MG with chitosan since this is probably a much better route of administration, and chitosan is available and cheap. As soon as I have news on this I will update the page. Glyoxalase I inhibitors: inhibition of GLO1 leads to the intracellular accumulation of methylglyoxal. The natural extracts Naringin (Ref.) and Curcumin (Ref.) are known to act as GLO1 inhibitors. Nrf2 I inhibitors: Besides GLO1, Nrf2 favour the survival of cancer cells by protecting them from excessive dicarbonyl and/or oxidative stress (Ref.) Nrf2 is often referred to as the main activator of cellular antioxidant response but it is also the main regulator of GLO1 and AKRs expression thus playing a central role in cell response to MG stress. Nrf2 inhibitors are discussed here (Ref.) and include Ascorbic Acid. One of the potential anticancer mechanisms of MG may be related to GABA A receptor. This is because MG seems to be an activator of GABA A receptor (Ref.). And GABA is known to show anti cancer activity via the GABA A receptor (Ref.1, Ref.2). Therefore, combining MG treatment with GABA supplementation may increase the chance for a successful treatment. GABA is a commercially available supplement. MG triggers GABA A receptor activation which in turn triggers an influx of Cl- ions (Ref.). Intracellular Cl- on the other hand is expected to reduce DCA’s anti cancer activity as it will reduce the efficiency of the DCA-induced GSTZ1 inactivation process (Ref.). As a result, I would not combine MG with DCA. It seems that a Mexican clinic at Providence Pacific Hospital administered methylglyoxal to humans at the begging of 2000 but I can not find more info on that. Methylglyoxal, also called pyruvaldehyde or 2-oxo-propanal (CH3-CO-CH=O or C3H4O2) is the aldehyde form of pyruvic acid. Yesterday, I was informed by a friend from Cancer Compass (thank you Jet) that various sources of information indicate that Dr. Koch shared his homeopathic data and formulas with a Dr. Eric Reinstorff in Germany (now deceased). But that Dr. Dieter Reinstorff in Hamburg, Germany (Eric’s son) is still manufacturing, distributing it, and using Koch’s homeopathic reagents. A pharmaceutical composition and treatment method to reduce the proliferation of cancerous or tumor cells, in which the combined active agents are methylglyoxal, ascorbic acid, creatine and melatonin. The invention relates to an oral formulation of methylglyoxal and/or its imino acid conjugates for human use and methods for preparing the compositions. Particularly, the invention relates to compositions comprising methylglyoxal and more particularly, imino acid conjugates of methylglyoxal. The present invention also relates to formulations of methylglyoxal and imino acid conjugates of methylglyoxal that can be used for the treatment and suppression of malignant diseases including but not limited to the cancers of Colon, Prostate, Pancreas, Lung, Oral cavity, Glioblastoma, and Leukemia. A novel nano drug composition for the treatment of cancer comprising 0.125-0.5 mg of methylglyoxal as conjugated to nanoparticles of chitosan, its derivatives, or other polymers; 25-100 mg of ascorbic acid; 75-300 mg of creatine; and 0.125-0.5mg of melatonin, wherein all constituents are meant for each kg of body weight. A novel treatment regimen is described for the control and elimination of cancer cell populations including cancer stem cells. The disclosed protocol consists of a pretreatment step followed by a treatment step. The pretreatment step sensitizes cancer cells to apoptosis by altering their intracellular oxidation-reduction state via reduced glutathione depletion. The treatment step involves the sequential administration of a cancerostatic dicarbonyl compound to induce apoptosis. The use of nanoparticle delivery systems further enhances both the pharmacokinetic and pharmacodynamic properties of the pretreatment compounds and the cancerostatic dicarbonyls. Since the pretreatment and treatment compounds are carefully selected and delivered, normal cells are not affected and side effects are kept to a minimum. Glycation of proteins, nucleotides and basic phospholipids by glyoxal and methylglyoxal – physiological substrates of glyoxalase 1 – is potentially damaging to the proteome, genome and lipidome. Glyoxalase 1 suppresses glycation by these α-oxoaldehyde metabolites and thereby represents part of the enzymatic defence against glycation. Albert Szent-Gyorgyi pioneered and struggled to understand the physiological function of methylglyoxal and the glyoxalase system. We now appreciate glyoxalase 1 protects against dicarbonyl modifications of the proteome, genome and lipome. 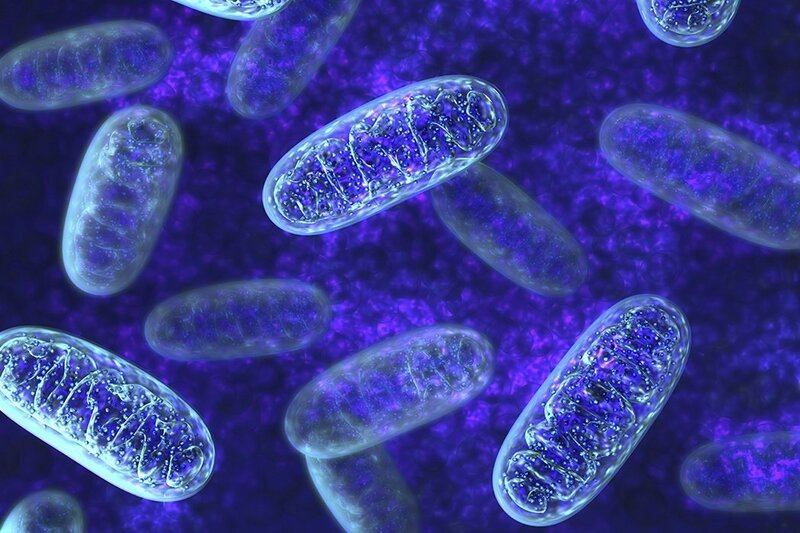 Latest research suggests there are functional modifications of this process – implying a role in cell signalling, ageing and disease. Collectively, these data indicate that MG or inhibition of GLOI induces anticancer effects in breast cancer cells and that these effects are potentiated by combination of the 2. Interestingly, the activity of glyoxalase 1 (Glo-1), an enzyme that detoxifies MG, was significantly higher in triple negative than in other subtype lesions, suggesting that these aggressive tumors are able to develop an efficient response against dicarbonyl stress. Using breast cancer cell lines, we substantiated these clinical observations by showing that, in contrast to triple positive, triple negative cells induced Glo-1 expression and activity in response to MG treatment. The effect of methylglyoxal on the activity of glyceraldehyde-3-phosphate dehydrogenase (GA3PD) of several normal human tissues and benign and malignant tumors has been tested. Methylglyoxal inactivated GA3PD of all the malignant cells (47 samples) and the degree of inactivation was in the range of 25-90%, but it had no inhibitory effect on this enzyme from several normal cells (24 samples) and benign tumors (13 samples). When the effect of methylglyoxal on other two dehydrogenases namely glucose 6-phosphate dehydrogenase (G6PD) and L-lactic dehydrogenase (LDH) of similar cells was tested as controls it has been observed that methylglyoxal has some inactivating effect on G6PD of all the normal, benign and malignant samples tested, whereas, LDH remained completely unaffected. These studies indicate that the inactivating effect of methylglyoxal on GA3PD specifically of the malignant cells may be a common feature of all the malignant cells, and this phenomenon can be used as a simple and rapid device for the detection of malignancy. Fourier transform infrared spectroscopy revealed the presence of imine groups in Nano-MG due to conjugation of the amino group of chitosan and carbonyl group of MG with diameters of nanoparticles ranging from 50-100 nm. The zeta potential of Nano-MG was +21 mV and they contained approximately 100 μg of MG in 1 mL of solution. In vitro studies with Nano-MG showed higher cytotoxicity and enhanced rate of apoptosis in the HBL-100 cell line in comparison with bare MG, but no detrimental effect on normal mouse myoblast cell line C2C12 at the concerned doses. Studies with EAC cells also showed increased cell death of nearly 1.5 times. Nano-MG had similar cytotoxic effects on A549 cells. In vivo studies further demonstrated the efficacy of Nano-MG over bare MG and found them to be about 400 times more potent in EAC-bearing mice and nearly 80 times more effective in sarcoma-180-bearing mice. Administration of ascorbic acid and creatine during in vivo treatments augmented the anticancer effect of Nano-MG.
Hepatocellular carcinoma (HCC) is one of the most highly lethal malignancies ranking as the third leading-cause of cancer-related death worldwide. Although surgical resection and transplantation are effective curative therapies, very few patients qualify for such treatments due to the advanced stage of the disease at diagnosis. In this context, loco-regional therapies provide a viable therapeutic alternative with minimal systemic toxicity. However, as chemoresistance and tumor recurrence negatively impact the success of therapy resulting in poorer patient outcomes it is imperative to identify new molecular target(s) in cancer cells that could be effectively targeted by novel agents. Recent research has demonstrated that proliferation in HCC is associated with increased glucose metabolism. The glycolytic enzyme, glyceraldehyde-3-phosphate dehydrogenase (GAPDH), a multifunctional protein primarily recognized for its role in glucose metabolism, has already been shown to affect the proliferative potential of cancer cells. In human HCC, the increased expression of GAPDH is invariably associated with enhanced glycolytic capacity facilitating tumor progression. Though it is not yet known whether GAPDH up-regulation contributes to tumorigenesis sensu stricto, emerging evidence points to the existence of a link between GAPDH up-regulation and the promotion of survival mechanisms in cancer cells as well as chemoresistance. The involvement of GAPDH in several hepatocarcinogenic mechanisms (e.g. viral hepatitis, metabolic alterations) and its sensitivity to a new class of prospective anticancer agents prompted us to review the current understanding of the therapeutic potential of targeting GAPDH in HCC. The results clearly indicate that Nano-MG may constitute a promising tool in anticancer therapeutics in the near future. In conclusion, it may be stated that the anti-cancer effect of MG is enhanced by concomitant creatine supplementation, both in chemically transformed (by 3MC) muscle cells in vitro as well as in sarcoma animal model in vivo. These data strongly suggest that creatine supplementation may gain importance as a safe and effective supplement in therapeutic intervention with the anti-cancer agent MG. The results described herein provide new insights into curcumin‘s biological activities as they indicate that inhibition of Glo1 by curcumin may result in non-tolerable levels of MGO and GSH, which, in turn, modulate various metabolic cellular pathways including depletion of cellular ATP and GSH content. This may account for curcumin‘s potency as an anti-inflammatory and anti-tumor agent. The findings support the use of curcumin as a potential therapeutic agent. We have also revealed that MGO induces senescence of U87MG but not T98G cells, but further studies are necessary in order to clarify and check mechanism of action of methylglyoxal and it Is a positive phenomenon for the treatment of GBM. The results suggest that this physiological compound merits investigation as a potential chemo-preventive/-therapeutic agent, in differently aggressive prostate cancers. My mother just started methylglyoxal treatment 2 days ago for end stage Gall Bladdar cancer. We are giving MG 5mldose 4 times a day in 200ml of water. Other things that we are giving her is creatine powder, VitC tabs, B-complex, Curcumin. Now we are waiting for the drug to work. Hi! Thanks for the comment! Can you please keep us up to date on how things are going? Where do you get MG? From hospital in India or other sources? Momma Boy Did you order it yourselves? Hi Cathy, I was recently informed that unfortunately Momma Boy’s mother passed away and did not had the chance to possibly be helped by MG … To my knowledge, the MG solution was received from a hospital in India. I mentioned the address of the hospital in the Source section of the above article. I think this is a hospital collaborating with Prof. Ray. Therefore, they are using exactly the same formulation and administration method I mentioned above (which was kindly confirmed by Prof. Ray via a private communication). 39% Complete remission ! , This sounds even better than Salinomycin !!! hope your mother will get better soon . Hi Daniel, where would one go about acquiring this and what dose/administration of the product from the supplier would you suggest? Hi Meech, nice to hear from you. My plan is above in terms of supplier, administration and dose. 🙂 Is there any other question? Can’t believe I missed that section while reading the whole article. Daniel did you tried this treatment or not yet ? and your experience about the MG from china , do you think its good just like the western versions ? Not tried yet Emad. Using Fred’s words, it depends on my VIP (very important patient) if she is willing to take it. I use a western supplier. I tried to speak with Prof Ray on the phone – we could not hear each other well but I think that Chinese sources may be used sometime in India. I also had a very nice discussion with an important drug producer in Germany who was saying that most of the worlds chemical products are coming from China these days. So I think the question is not anymore about the country of origin but about the quality of the supplier. Getting it from a supplier you trust in terms of quality is the key. I do not think anyone is keeping them away – just that the solutions do not get enough attention since there is not a serious business behind. I don’t know why ? the same treatment that was successful last month , now failed !!!??? the other thing is, do you know about a trusted Chinese supplier for Methylglyoxal ?? What treatment She is undergoing now? Hi Emad, I am sorry to hear that. What was the complete treatment? For myself I am buying it from western suppliers. now with the same treatment , the markers raised again to 560 !?? i didn’t hear about any cancer that developed a complete resistance against a treatment just in less than 3 weeks !!!! is this thing happening normally ?? but this is still a little difference to me , and that just changed the game !!???? sorry for my long comment Daniel , but what you suggest in this situation ? do you have a good protocol (good combination of treatments) for us to use ? 1. Small changes such as DCA can lead to large changes. If I remember correctly, you did took out DCA in the previous cycles and once you did that there was no response to Chemo. So far, I think there are good reasons to believe that DCA helps the effectiveness of Chemo in this case. As a result, if possible, I would get back on DCA at a similar dose and administration schedule as you use when the markers were in decline. Maybe even a bit higher dose? Or maybe also overlapping chemo? 2. As you know there are more ways to possibly increase the effectiveness of Chemo https://www.cancertreatmentsresearch.com/?cat=18 Increasing the Lanzoprazole dose several days before before and during the first days of Chemo may help too. Focusing on the inhibition of proton pumps during the same days will probably help. 3. As you also know, my personal believe is that if we chose to go for Chemo, options such as Salinomycin, Phlorizin, may strongly help if you could find a place to help with the administration. Please read the articles carefully https://www.cancertreatmentsresearch.com/?p=736. Maybe you can convince the oncologist to administrate Phlorizin during the chemo day in the same way they did it at the hospital in USA. So there is so much we can do and I did not even discussed others such as MethylGlyoxal … you already know a lot Emad and you will find your way. Just spend some time to think about the above and if you have specific questions you can also send them to me by e-mail. in your opinion is this is a strong protocol ? or still need to add more ?? Dear Emad, thanks for understanding. You are helping your mother, not me, and she is very lucky to have such a son. I guess you know that one way to reduce neuropathy induced by DCA is to have on/off administrations, e.g. Monday to Friday on DCA and the weekend off. – Clinics in Germany always add Cimetidine 800mg/day to reduce chance for metastasis. – Lanzoprazole reduces acidity around the tumor but also helps DCA. – If I would need to take something out of the combo you are considering, I would take out Griseofulvin as both Mebendazole and Griseofulvin are addressing similar mechanisms (same that Taxol is addressing). Offcourse together they may be stronger. – I would not forget the natural options, specifically Omega 3 (fish oil or algae). – Scute from iHerb contains Baicalein that may be highly relevant against breast cancer (city of hope in USA wanted to start a clinical trial on Baicalein for breast cancer). – Off course supporting the organs is very important and on that line Astragalus and Silymarin are basics. – Curcumin in high dose is also helpful. Answering your question, I can not recommend what you should do but I can tell you what we use out of that list. We are using four out of those five elements. We use Cimetidine 800mg/day, Metformin 1000mg/day, Mebendazole 1000mg/day, Beta Blockers (Propranolol) 80mg/day. Hi Daniel, I was prescribed beta blockers back in September because my surgery carried an extremely rare side effect (never before seen by my surgeons, or any neurologist/internist/oncologist) where nerve damage caused my body to be unable to regulate blood pressure and heart rate upon standing. I decided to go off of the three pills they prescribed (Bisoprolol, Fludrocortisone, Midodrine) which they said I would potentially be on for the rest of my life and adopt a natural protocol of exercise to mitigate the effects – which has been a huge success. Anyway, I was reading online about beta blockers + metformin and read that BB’s might lessen the impact of metformin. I can’t remember where I read this but have you heard anything similar? HI Meech, thanks for your point. I will check further the research but based on the common knowledge it seems to be no interaction between the two http://reference.medscape.com/drug-interactionchecker?src=google. The only one out of this combo that interacts with most drugs is Cimetidine due to its impact on the hepatic enzymes. But we never had issues with this while we are using Cimetidine for nearly 3 years now. If in the mean time you find the reference please send it to me too. Thank you. Momma boy what about MG ? isn’t it effective ? how did you know that its not effective with your mother ? I guess Momma boy just started with MG about a week ago, so it may be difficult to have an assessment so fast. Is this somehow beneficial TLS? Since MG is water soluble is there an IV equivalent that is safe? Interesting point about the stomach challenge, Fred. I am not aware of anyone trying an IV formulation. I will try to check with Prof. Ray and if I get anything will share here. There was mention in Dr. Koch’s writings of intraperitoneal and subcutaneous injections with quick results. I wonder why current administration is oral. Yes Fred, but that was OCCO not MG. I asked prof Ray if there is any knowledge regarding MG injection but didn’t get a response yet. Without any reference on human use, I would refrain from using it as an injection, even if from theoretical point of view would make sense. Hi Paul, thank you. This is a great comment/question/addition! While I discussed in the safety paragraph potential side effects connected to the heart, I actually did not saw that pattern in the patients so your point is very valuable. According to that we can assume that while 78% of patients may benefit from MG treatment (39% complete remission and 39% partial remission or stable disease), about 10% may be lost due to heart failure. If I would look from the risk perspective alone I would say 10% is too high. But if I think that the patients treated in Prof. Ray trial were late stage with no other option we could argue that MG saved 8 out of 10, 1 out of 10 was lost due to cancer and 1 out of 10 was lost due to MG? Nevertheless, we should do our best to reduce the risks while maintaining or further increasing the chance of success. Chitosan may be the solution, and it should be relatively easy to achieve that given that MG is water soluble. In this way the MG dose can be very much reduced and it will be mainly targeted to the tumors + it will survive longer in the blood. Liposome may be another option. I will look into these options as soon as I find the time. Maybe someone else reading this can find the time to look into these options sooner? That would be great. I wrote this comment relatively fast as I have to go now but will come back to it as I think MG is one of the most relevant anti cancer elements. I have to save my V.I.P. she has stage IV. unresectable mCRC. We managed it so well with artemisinin derivatives, curcumin, quercetin, EGCG, silymarin, GSE, boswelia, beta-glucan, lactoferrin,PQQ, NADH, NSAIDs , paracetamol, cimetidine, metformin, omeprazol, simvastatin and chemotherapy that all her metastases (7st) have disappeared in 14 month from liver, 70% from abdominal wall , primary tumor shrank by 80% so hospital decided to re-valuate her for HIPEC surgery. That is why she was put on hold in chemo for three months – her cancer just exploded – it is 2x 3x bigger than in the beginning. No more talk about surgery. MG could save her life but I’m kind of scared to use it as it is now. It would be great to find a kitchen table solution before it is too late. Research on nano-particles can take 5-10 more years before it is available for common people. I am sorry to hear about the evolution and glad to hear that she has good potential for response. Maybe you could try TACE as well to stop the progression? Dr. Jason Williams is the best option in the US region and Prof. T. Vogl one of the best in Europe region. Have you considered that or that is no option? Based on what I have seen so far, I think Salinomycin, 3BP, Diflunisal are doing very good job. Beyond that, I have high expectations from all of the elements I am discussing in my posts and MG is one at the top of those. If I would use MG I would make sure I would indeed follow HDL in blood tests. Thinking about turning hypoxic cells into normoxi ones to get easier rid of them. What do you think? HI Paul, May I know what part of the tumor is highlighted by PET and which part not? Is a difference between the central part vs edge of the tumor? Or a difference between various spots? It is difference between the spots. The largest one covering the womb is dark grey two others close to it are bright white and in the liver and around it is a mix of dark and bright spots. Thank you Daniel. We are already using Metformin will check the rest if they are purchasable for a somewhat human price preferably in Europe. I stumbled upon this article about MG http://www.sciencedirect.com/science/article/pii/S092544391100072X difficult to interpret but it looks like that MG maybe is not suitable to treat colorectal cancer. What do you think? Hi Paul, in theory Mg should be effective against any tumor type relying heavily on glycolisis. Something interesting that I’ve found is that ketogenic diets can increase the amount of Methylglyoxal within the body naturally. It could add to why ketogenic diets have shown efficacy. Could it be so that cancer cells have difficulties to adopt to extreme levels of sugar both low and high? I have something in the back of my head about “Mountain Dew effect” from Cancer Compass, I think. In short a guy was drinking a lot of Mountain Dew during his anti cancer treatment and got very good results if I remember well. Could it be the effect of MG or just sugar awakes sleeping cancer cells and this way they can be killed? That is right Paul and the same is stated in my post above. So the more more glucose is consumed the more MG is produced. But in normal conditions cancer cells are able to get read of that by overexpressing GLO1 enzyme and GSH. (please see the Mechanism section). In theory, assuming you can inhibit GLO1 and or GSH effectively, it would make sense to increase the Glucose intake but in reality I would avoid sugar even if I think I can inhibit them effectively. I remember a guy drinking Mountain Dew and getting DCA. If you are referring to that, it was DCA that was helping and I would not conclude much about MD based on a single case. I couldnt find the article about the guy drinking Mountain Dew and healed. Can it be because of citric acid +DCA? One thing to point out to you and others on the thread was that we had a slight trouble earlier with the dosing of MG. There was a substantial overdosing with it. Be careful not to confuse % by weight/volume for a molarity. I have no idea why they would label the way that they do. the second thing , are you willing to try MG IV ? the last thing , the Vitamin C , should it be chewable ? not normal tablet or capsule ? Yes, J is right, there were some mistakes in calculation during some discussions on Cancer Compass. The numbers above are verified with Prof Manju Ray. Nobody knows if MG IV is safer or better but it has been and it is applied on humans. Chewable is what Prof Ray suggested. Hello Danielle, I am new to this. My husband is stage 4 colon cancer and it is progressing after Folfox, folfiri. Now his oncologist put him on Avastin and 5-FU. However, I do not have much faith. He ‘s been on cimetidine and metformin. I recently add Artemisinin. I would like to add MG but does he have to stop chemo or he can do these concurrently with chemo. I know you do not give advice but I appreciate your knowledge and I just need to know if people do these treatments alone or in combination with chemo. Also how can you buy from the supplier. I tried and they said they only sell to research facility or university. I just recognize that I misspell your name. I am really sorry but since the new of my husband’s cancer progression I could not think straight. Just the thought that he won’t be here for long is killing me. I’ve been crying so much for the last few days that makes reading so hard to understand and remember. I am so sorry to hear about the challenges you are going through. Please do not apologize about the misspell – that is no problem off course. Also, please realize that the journey may be long so do not spend all your energy on one step of this journey. 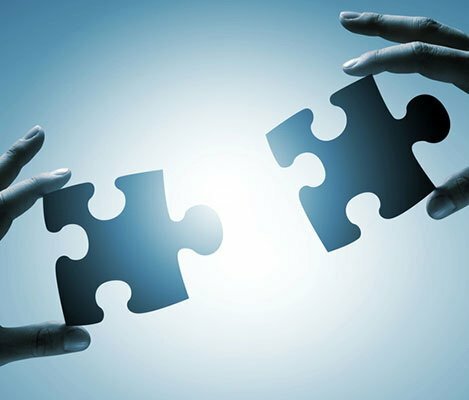 Regarding your question: people across the world find their own way to get MG either through friend in Universities or various other ways including from Chinese suppliers on Alibaba. As mentioned above, best way seems to be to get it through the Indian hospital (see address above) who seems to help patients from outside India too. From a mechanism point of view, I would expect that MG will help chemo but best is to contact the Indian hospital and check with them. Some way to possibly improve chemo are very simple (such as drinking a coffee before the IVs, taking some Paracetamol) and other would require some drugs that you may discuss with the oncologist and ask if he/she could help. I hope this helps and answers your questions Hanh. Al the best to you and your husband! Hello Daniel, I saw that you use Propranolol for your wife. I asked my husband’s oncologist for that and she said my husband does not have high blood pressure so there a danger that his blood pressure may go too low if use that? My husband also has high cholesterol, high triglyceride problem, I wonder if MG will pose more risk? Thank you. For Paul, my husband only had liver mets. We decided on SIRT treatment. After that his cancer explodes in the liver, go to lymph node, peritoneal . I am so sorry that we did Y90 since it did not help him but makes him sicker. For some it may help but in our case it did not. Propranolol may indeed be risky if the blood pressure and heart rate is already on the low side. For my wife is perfect since the parameters are on the high side but for those like me with a slow heart it may even be lethal? Is great you are consulting your doctor on this one! For liver (but other locations too) to address on short term important challenges, TACE (trans arterial chemo embolisation) seems one of the best. You can have TACE options both in US (dr. Jason Williams) and in Europe (prof Vogl, Frankfurt University). It works for many at least to temporarily stop the growth. Are the methylglyoxal and koch treatments designed to be used separately or simultaneously? I have researched and studied methylglyoxal as a cancerostatic agent for 40 years. Dr. Szent-Gyorgyi, with whom I occasionally corresponded in the 70’s and 80’s, was an incredible visionary. He recognized the uniqueness of methylglyoxal and how it could quite selectively kill cancer cells while not harming normal cells at millimolar concentrations. However, he also understood the challenge of delivering a pharmaceutically active concentration to the tumor site in the face of the high glyoxalase I enzyme levels in cancer cells. Interest in methylglyoxal as a cancer treatment has increased in the past 20 years. People have looked at ways to inhibit glyoxalase I activity with specific inhibitors as well as protect methylglyoxal prior to delivery to the cancer site with nanoparticles and more recently Dr. Ray with chitosan. I have tried to encapsulate methylglyoxal with 60-100nm particles unsuccessfully. While some of these approaches have been successful in increasing methylglyoxal effectiveness their still not good enough leaving 20% viability and perhaps inducing drug resistance. As far as IV delivery, methylglyoxal is very acidic, even when diluted with pH typically 5.5 or less. Adjusting the pH up tips the equilibrium from the active keto form to the hydrates. My approach which will be tested shortly(this year) regulates the cancer cell redox state making the treatment with methylglyoxal far more efficacious ( 0% viability) @ 100micromolar. I hope this sheds some additional light on the discussion. Thank you for your very helpful contribution. 1. Can you please let us know what is the effective MG dose expected to be required in your formulations? Is it lower than that discussed above? 2. Can you please let us know if the test you are going to perform are on humans, and if that is the case what will be the context? Can anyone apply for that? 3. What is your opinion on the potential of MG toxicity related to the heart? 1. I am looking at MG doses that would be 20-50% of Dr. Ray’s. When administered orally, Dr. Ray typically gives 30mg/kg body weight /day. 2. Testing initially will not be on humans. However the test system is very new, innovative and quick turn times. Initial testing will be done on triple negative breast cancer cells due to the current lack of success for standard therapies. 3. I don’t have a strong opinion on heart related methylglyoxal toxicity. Thank you for your response. When the product becomes available to humans please let us know. after 3 weeks (chemo + low dose DCA) the tumor marker raised to 699 !!! I felt so bad that time and confused , but I thought maybe it is still early for DCA to work !? or maybe the cancer became resistant to both DCA and Chemo together !!? but I’m not sure how to start with it , should I combine MG with DCA and Chemo ? or should cancel DCA ? or maybe keep them all and just raise MG doses gradually ? If it would be for myself, I would give priority to Sal in combination with Chemo over MG. That maybe just my bias, but that is a strong bias. If you have the cheap version of Sal you may do some experiments with it by mixing with etanol or DMSO and after that push in saline. To my knowledge that would precipitate and the particles that are created can be larger than 25um which is the pore size of the standard filter that is mounted on every IV set. That means that all of the Sal will be stuck in the filter and nothing will go through in the blood. I have some tricks that may help reduce the precipitation even without but best is Kolliphor. If that is not available than one could also think of using just a bit of Paclitaxel solution if that is available. Normally, Paclitaxel is available everywhere and using just 0.5ml of that should only contain a very very little dose of Paclitaxel and the rest (about half) should be a Kolliphor-like substance (I think castor oil). I never used this approach but it was just an idea I had before getting to Kolliphor. I know you are a medical student but I hope you have a medical doctor that helps you with the above. Like I said before, as long as it works and there are no serious side effects why would you stop DCA? All the best EMAD and please keep us up to date with the evolution, and I hope to hear only good news! Emad, I always make small steps when stepping into unknown. That is to minimize risks. So I hope that going straightforward also means small steps at first. Can you please share here (or by e-mail) how you are going to go forward with Salinomycin usage? But please share every step in terms of formulation and administration like you would do it right now. Thank you. Emad, I will send you an e-mail with my comment. As you maybe already read about our case we have a lot of issues with liver due to unsuccesful SIRT treatment. I was planning to use methylglyoxal – but then I found this http://www.ncbi.nlm.nih.gov/pmc/articles/PMC4206746/ . Rhodizonsäure, Parabenzochinon and Carbonylgruppen from Adjupharm. Do you think that is a good idea? Can he take these together with medication he’s taking now? Do you have any other suggestions maybe? Hi, I intend to try the Adjupharm products myself too. While it is not known what could be the interaction of these with other medications, I do not expect any issue since they are homeopathic products. For other ideas, just go through my post. Due to the angle I am taking when looking at cancer, most treatment options I am investigating and sharing here are relevant for most types of cancers. Hello Daniel, I read the translation of the Koch therapy but I am not sure if I get it correctly. Would you please tell me how to alternate between the ampules. You only mention Rhodizonsaure and Carbonylgruppen. How about Parabenzochinon. I wonder if any of our friends is now on MG or tried it before? I want to begin MG as soon as possible with your experiences if you have. Do you have any idea where to buy it.? From buying Sigma is very hard because it takes 6 weeks. 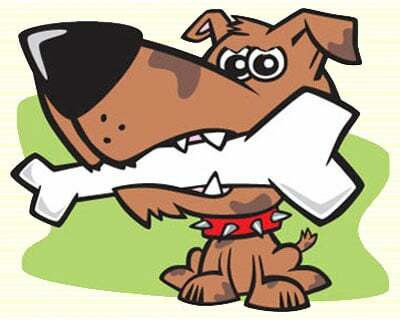 I have found this article about the toxicity about MG.I liked it.%80 of animals cured. MG is also available at Santa Cruz and other chem suppliers. The hospital in India mentioned above is also give it to cancer patients. You can try to contact them. I hope your mom is better. Again thank you for your kind responds.Sorry for too many questions. I hope chemo will work.I am thinking for surgery too much these days.But if chemo will not work?a surgery with hopeless. I took too much responsibility and went to a wrong doctor,it makes me very very sad in each day. We choose the wrong way,we must go to surgery when ca125 declined to 5 after first 3 cycles of chemo. Thinking of salinomycin but i couldnt find a dr to use it. But we will try all posibilities and find a way to chemo work again. I want to get and share information/experience. I prefer skype for this. Got some stuff here with Graviola, Paw Paw, Aspirin, CBD, Ginger. And many more. if only my comment wouldn’t have been canceled by the spam filter. i would have shared it all here. May you have good health and fortune. I am sorry for that. Indeed, there is a spam filter that is running in the background, filtering out comments that are somehow standing out and probably that includes very long comments or comments that include links that may be detected as suspicions. If I take it out, I will get hundreds of spams every day … You can send me anything by e-mail (see the contact page) and will find a way to post that e.g. as part of your comment. Thank you for your understanding. Anyone with experience on Paw Paw, Graviola? I’m getting some good results with them. I’m looking to exchange experience and information. Please contact me, read the above post. Dear, from your comments above I feel you are trying to get attention, get contacts on private and take advantage of people in need (possibly CBD). As a result, I removed your e-mail address from your comment above. If you have something to share please do that here. It’s not what i am trying. I am trying to obtain and share experience in order to save my mom’s life. I do not want to get or make any money off of anyone. I have no such scheme or plan. I am sorry to hear about your mom. I hope you will find a way to help her, and I hope the info shared by others on this website helps in some way. Regarding your previous comments, I think it is fair for all if we use this website not only to read and to connect with others on private but also to share with all what you have learned. Thanks for understanding. This method suggested by you here is quite slow i feel. So far nobody said anything in reply to my comments. I did replied. But just to be more specific, I do have experience with all those you mentioned above, both personal experience, that from others and literature study. I am specifically positive about Aspirin and related compounds (e.g. Diflunisal, Salicinium), but also about CBD. Ginger is relevant, specifically in the IV form. Graviola and PawPaw are also interesting but from a different category, i.e. soft. Not for advanced cancers. Please let me know what is your experience with them. We started with cbd oil, did not to much. Was good till bleedings started. Replaced graviola tea with paw paw capsules and then added graviola tea on top 1 cup troughout the day instead of 3.
after drinking graviola tea, itching, tingling sensastions occured in the areas where the problems are, everyone i talked to said that may be due to healing. paw paw / cbd oil / ginger / every 6 hours 3 times a day and graviola on top over the day is what we are using now. There are many things to be said, that’s why i would like a faster method. Things have been getting better and better each day. Thank you for sharing! If anyone will want to contact you on private, I will give him/her your e-mail address. When are you going to perform the next scan? Or are there positive changes in the blood results? Improvement of mobility, appetite and sleep sounds great. 100mg/kg aspirin sounds like too much … was that given IV? At that dose there are also high risks of bleeding. How much cbd oil, paw paw and ginger are you using? Inhalation of various compounds (including tea?) is a relevant approach when tumors are in the lungs. You mentioned that it has spread, before using the above. Is there another location, other than the lungs? Getting first blood tests results tomorrow. Everything was given by mouth, not IV. – We had bleedings as i mentioned. Our oil mentions something like 90% extra-virgin hemp oil and 10% CBD. 35 drops on each dose after aspirin, in this case now, after Paw Paw. Ordering of treatment elements is an important part of synergistic efects i feel. Paw Paw capsules, currently we are getting 2 capsules/3times a day – as suggested by the company that makes them. No inhalation, we did frankincense oil inhalation and ingestion, kinda useless. Surgery was a mistake for too many reasons, our experience demands everyone to think before making this choice. Besides missing part of the lung, the problem didn’t go, even more… it has helped it spread and the body only got weaker due to the surgery and the effect of a damaged lung etc. I would love your opinion on various things. If not drop it here. Just got CEA level today, 28.5. i’m quite certain it was higher before but i have no test to confirm it. Hi, if you like to discuss on skype please send me an e-mail with your ID and we can try to find a time during the next week. What about adding beta glucan and vitamin d? Both are very good in my view. Just monitor from time to time Vit D levels in the blood. I hope you found our discussion on Skype helpful. about 30 drops of the oil mentioned bellow *** on ocasion now. some more medicine…… a full bag of tricks. i don’t wanna brag or complain but my room smells greenish – funny ha? I want to get the most out of what i have around for now. I’m fairly convinced that it’s not just items in the protocol that contribute to healing but also a good strategy based on science and personal experience. Looking forward for anyone’s opinion or reaction. Thank you very much Daniel!!! Out of those you mentioned above I find the most relevant Artemisia Annua (as discussed), Vitamin D, Flax seed oil, Curcumin, iv Vit C, Propolis (but in high dose and if possible from Manuca), Black Seed Oil. What would work best with Graviola / Paw Paw from the ones you find most relevant? Combinations, oder of administration and dosages. You may already be aware of that page but just making sure. In the lower part of that page there is a compatibility section mentioning quite a few things. What is your opinion about what is said in there? This may be valuable information for me and my mother but also for readers of these comments. I do hope i am not asking for too much information here. And thus too much time from you. Anything you may dispense will be most apreciated as you would probably guess. In order to be able to think of a strategy around pawpaw I would have to first check the mechanism that is claimed to be behind pawpaw and also see if that is supported by enough scientific literature. It will take some time until I find the time to look back into pawpaw. As soon as I find the time to look into it I will let you know. However, please note that the subjects of the articles I shared so far on this website are focused on anti cancer elements that are in my view more relevant, and I suggest that in the mean time, until I can respond your question, you go through the articles and see what else you could find relevant other than pawpaw. Bad news i guess, got the CEA values after 20 days interval by phone call, can’t be sure of the exact number.mom said somehting like 43 and then some. last value was 28.05. We’ve been pumping graviola leaf powder tea and paw paw every 4 hours about 4 times a day for the tea and 3 times a day 2 capsules of paw paw. We dropped this protocol to go back to aspirin, going to do enemas and anti-oxidants at least for a few days till we get a more clear path. I don’t know who or what to believe anymore…………. contradictions everywhere. Incredible to see that by this year nobody seems to know anything about this common medical issue, and even when someone knows something, someone else will contradict it. I know you are very busy dear Daniel. Please find a little bit of time for me and my mom. Meanwhile watching scam artists getting ritcher off of desperate people on the internet and becoming faimous for it. Makes me realize this website is a treasure amongst all the crap out there. this cancer problem is a very tough one on many facets, as you all know. Sorry if my reply is too long. All my best wishes and respect to everyone reading this. I am very sorry to hear about the markers. Paw paw indeed seems to have some relevant anti cancer components inside, e.g. https://www.ncbi.nlm.nih.gov/pubmed/18598079, but as you are saying, the tumor type, tumor location, the quality of the product you are using, different bio availability and pharmacodynamics in different patients can all have own contribution to the outcome. What is clear to me is that you did your best using Pawpaw and for your case that seems not to help. So it is good to switch to something else. What are the treatments you are now considering? Take care with the aspirin as you know too much of that may lead to internal bleeding. Please let me know how I can help. Best would probably be to let us know here what is that you intend to do as next steps and people, including myself, can react and give you ideas on that line. To my knowledge, the gofundme campaigns are very useful to ask the help from those people that already know you unless you also use FB and other tools to reach more people. All the best to you and your dear mom, and just let us know here how we can help. Please also see below the very helpful comment of Helga. One other idea is to explain the story of your mom in details including tumor type and evolution, current tumor status, previous conventional and alternative treatments, current treatments and what you are planning in terms of treatments. 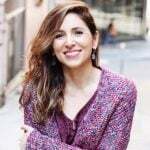 This I can publish in the same way as I did for Ergin here https://www.cancertreatmentsresearch.com/?p=2027 and people can react and give you ideas. If you like that, please prepare a clear story on the points I mentioned above, send that to me by e-mail and I will publish it as soon as I receive it. What do you think? D, I came across this way to boost chitosan nanoparticles. I am also wondering about the vitamin C dose that is recommended in combination with MG.
400 mg of oral vitamin C seems to be hopelessly to small a dose. I wonder how high dose iv Vitamin C might combine with MG especially iv NanoMG. Perhaps 100 gram iv Vitamin C over 2 hours and then 10 grams per hour for 10 hours. One needs to be careful as changing the vitamin C dose might add safety concerns, though it would be interesting to hear what the MG experts thought of this. I have read your story, sorry to hear that your mom is not doing so well. I agree, surgery may not be the best option for a metastasized tumor. The reason is that the tumor itself secretes anticancer proteins to suppress the growth of the other tumors. They were isolated by Judah Folkman in 1999. Once the main tumor is removed, this inhibitory effect goes with it and metastatic tumors will grow more easily. Anyway, regarding your treatments are not sufficient I think. Paw-paw was proven to arrest growth by preventing fuel from food to reach the tumors. So it is good to take around meals I think. Have you tried to inhale Lapacho tea? It can be quite effective against lung ailments. And also, would you consider citric acid? As your mom has not received chemo yet, it might work esp. well for her. I am taking now 12 grams per day in 6 doses. I feel that it is important to spread it out during the day (I suspect I have ovarian cancer). It makes me feel so much better, amazing. But it is important to keep the body alkalinized. There is tremendous valuable information on Daniel’s site in general and also on citric acid. I myself wrote about an article written in 1866 (!) about the use of CA to treat cancer in a respectable medical journal. I am not sure if CA interferes with paw paw, you could always do some internet search yourself. Also enzyme therapy is great for cancer. If your mom’s heart is strong, you could try oleander treatment. If you are cash strapped, you could make your own, although Ergin is against it. But if you follow the instructions closely, it is safe. I myself cooked it once and then used to take it. The important thing is to filter the “tea” twice, very carefully, to make sure that no pieces of the leaves are left in the final product. It is described somewhere how to make it exactly. Beta glucan is great plus you might consider cimetidine. Also, if she can tolerate heat, an infrasauna would be a good idea. Best thing would be for you to read this site carefully, it is a treasure trove of useful information! And I have come across hundreds of sites about “alternative” treatments of cancer. Daniel’s site uniquely combines the best of both worlds. Just read his articles. The filtering using 4 coffee filters etc are the most important part, you must observe it. What cancer do you deal with, may I ask? First of all Thank You!!! For reading, for tyring to help. I don’t even know where to start from. It’s going to be a long one, sorry! Now the CEA level is 43+, no exact number yet, Also CA 19-9 dropped a few points from what i heard. They were bellow the refrence value in the begining and now even lower…. It’s funny because since her pain was gone this entire time, we were expecting a drop. Apparently pain absence may not be an indicative of healing. I am wondering weather the CEA levels are higher because of other crazy reasons such as tumour necrosis, some liver problems etc……….??????? This is when i wish i had a CT scan room next to my bedroom. Or something way better Star Trek technology, something…. It’s amaizing how little has been done in this quest compared to other problems such as, how to get a better duck lips selfie. Today’s transistors are small enough for maybe 100 of them to be fitted with ease inside a human red blood cell if not more. We search and find other planets that we will probably never ever reach while here we still search for solutions to some of the oldest problems in the entire known history of earth and humanity. Everything seems so uncertain and unclear now, how do we measure anything in this world with more accuracy and certainty? Confusion, desperation, no clear path and broken. I am now financially stuck, only managed to pay for basic food and some bills. I gave all my money that i had saved for a brighter future to this cause, and i don’t see the light. I feel i have talent, ambition and tenacity to help my mother, but i need experience. Certainty and guidance. I am feeling the ground going away from my feet as time goes, i had very high hopes in the Graviola/Paw Paw protocol since soooo many state they got well. I don’t know how much time we have left to experiment with treatments, i need a clear certain solution that will work for sure. I may be asking for too much, being broke, unable to do more testing, gene sequencing, more blood tests, urine etc. I hate to leave my results to chance, but it looks like i have no choice, forced by the laws of the universe, i don’t know anymore. Not here to complain, i realize everyone must be going trough similar issues and emotions. So after hearing about this level of CEA, we decided to halt treatment and revisit the options. Went ahead and told my mom to drink ginger + lemon tea, high concentrations. Gave her a few aspirins and cbd oil, she started feeling better, no more pain, just a sense of inflamation in the area where the primary tumour was/is (spine), some burning sensations in her right breast, lymph nodes seem more proeminent on her arm. Some stabbing pain as Ergin described with his mom. We just did a saline wash, then a coffee enema in the evening. Laying the foundations for a new treatment strategy begining with detox, if any is strongly suggested based on personal experience. Please let me know what is actually working for you. I kept looking again and again on budwick, gherson. IDK anymore what to believe…..
For some it worked maybe, for others it didn’t. What to do from here? I am thinking about beta glucan and maybe some other things if i can find the money to bring them over from another country. Even if i had all the possible solutions materialized before me for free. I would still be confronted with the problem of choice since time in these situations is a big problem i feel. Helga dear, inhalation is probably next to useless in our situation since the main tumour was partially removed with the upper right part of the lung, leaving small parts embedded into her spine. (that was then) Oct 2016. Citric acid??? did not try. Only some lemon juice. Please more information needed. If you believe you have some cancer of sorts, i think you should go check it out with contrast substance, scanners are bad for you but knowing something for certain is very important i believe. She can not tolerate heat sadly, cancer doesn’t come to the healthy ones. All those kids who have cancer either have their genetics wrong or their diet change could fix it and then you would see them getting their websites, asking for hundreds of dollars to tell you their secret, healthy food! OMG the industry is keeping it secret from us. After trying a few miracle “pills”, i can safely say…….. i’m tiered of Snake oil. People call me Snake, i think i should get some aparatus and make / sell oil myself. It will be branded so you know it’s the original that can CURE you for sure. Anyway, our experience points to aspiring + cbd oil as being AWESOME. With the only problem beying the bleeding, I am pondering mixing it with vitamin K to reduce that side effect as Al was talking about on another page here. What about Rigvir??? They seem confused too. No guarantees, no repetable precision results. This doesn’t look like science anymore. Everyone charges what you never had your entire life. Everything is so expensive and the problem is so common. So paradoxal. I’ve been reading here, almost everything is written with inhibited emotions behind the keyboard. I know you all suffer so much, just as i am. We fight, more or less together to save our loved ones or ourselfs. I didn’t cry much till i saw how many more are suffering, and seeing some fighters here keeps me a little more encouraged, with some sholder to cry on that understands my pain of seeing my mother seeking help in my eyes with her gaze. This diagnostic “cancer” is the worst of all emotionaly because of no known actual cure for all of them, pointing to either a lack of understanding, application of knoledge and science, science itsef missing…. something is not right. Personalization of treatment is TRUMP expensive. Society still values money more than life. Daniel please, if any time available. Do login. All my best wishes to you all, may good health and happyness be with you! not again….. this comment approval thing. i give up……. the webpage isn’t letting me complete the comment i wanted to post here………………. Thanks. I just approved your (long) comment. Was waiting for my approval due to its length. As a result, I will soon erase the others. I was expecting you will send the story on my e-mail, more structured (with a time line) and I would make a new post out of it so that you get the full attention. If you like that, please work out a bit your comment so that it is more clear and people can understand easy what you went trough (tumor location and treatments), where you are (tumor status and treatments), and your plans (treatments) and we can comment on that. Otherwise we can keep the comment here as is although it is off-topic on the MG page, but to be honest for me is hard to read it as is. Just think about it and let me know what you like. just see my comment to Paul (scrolling down to the bottom of the page you’ll find the latest posts). I wrote about wheatgrass juice treatment and how a 75 yo woman with metastatic cancer was cured by it. I feel that you lost hope, which outlook should be changed if you want your mom to be healed. Read inspiring stories on the internet, there are plenty of them. Citric acid treatment is great. For ginger, I’d recommend dried ginger instead of just ginger tea, it is so much more effective! Fresh ginger may be even better but takes more to get it. Wheatgrass, citric acid and ginger cost almost nothing. Why don’t you read here the appropriate section about citric acid. And keep up your spirit! How is you mom’s? The most important ingredient is the resolve to want to live! Daniel, thanks for your work and expertise in maintaining this wonderful site. I am an integrative GP working with cancer patients, mainly around therapeutic nutrition, herbals, and some pharmaceuticals, cimetidine, metformin, vit D etc. I am trying to find a source of MG, but this is proving much harder than I had hoped! No replies to emails to India, Chinese manufacturers etc. I got a small amount off ebay that I’m certain has helped a glioma patient to some degree, but that source has disappeared. Thanks for your comment and kind words. For a source you can also contact the Chinese supplier I mentioned on the “Supplier” post. I will send to you by e-mail another reliable supplier I used to be in contact with from China. Besides the Chinese you can always try to go for the western sources such as S Cruz or others. Would be great if you could share here a little more of your experience with MG, such as the dose used, side effects and anything you think it may be relevant. Any other opinions on MG or other posts would be very much appreciated. Thanks a lot in advance. If anyone else has other recommendations on MG suppliers please let us know. You said i would not use DCA with MG.If we have to choose one,which one is better i am thinking.Ofcourse different mechanisms. I am thinking to change DCA with MG if tumor markers are still getting higher. But i wonder DCA and citric acid have similiar abbilities to some degree.Then do we have to stop citric acid and HCA while on MG.
Ofcourse you can say it is your choice and own risk. First thank you for your kind donation. I will make sure that will get to those that need it the most and I hope you will actually also participate in doing that (as I hope that more of us will unite our energy in the future to help improvement and extension of life). Regarding your question, I was saying I would not use DCA with MG because MG may reduce the potential of DCA, but not the other way around. If I would have to chose, I would first try DCA since the potential side effects are lower compared to MG. If I would not be happy with DCA and would have no other options I would add MG. In that case, I would think if it makes sense to continue with DCA or not. If I saw no added value of DCA, I would stop that to live place for something else. – if CA is doing its job, it should inhibit phosphofructokinase (PFK) which is an enzyme that next to Citrate is regulated by ATP: http://www.sharinginhealth.ca/cells_and_molecules/carbohydrates/metabolism/glycolysis.html as a result, Glycolisis should be inhibited. 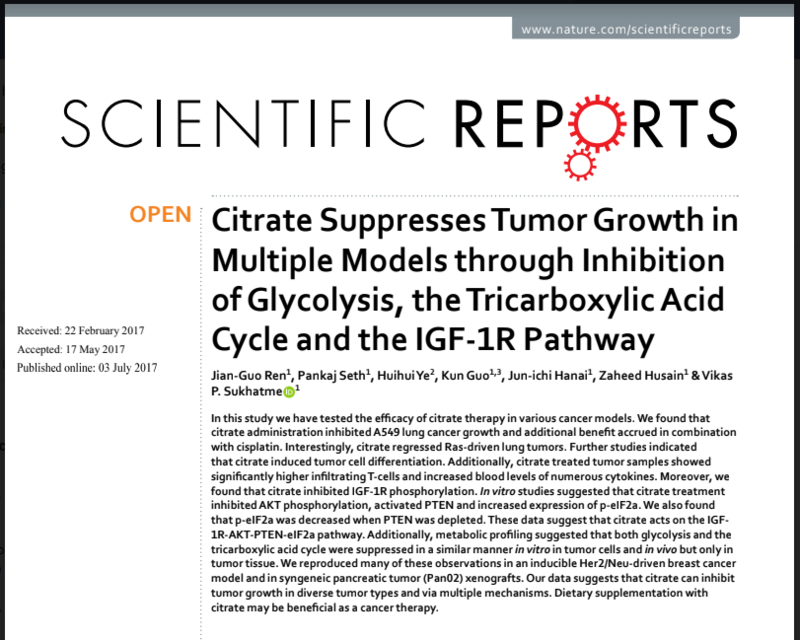 In this case, if CA is effective in inhibiting glycolisis, there will be less MG produced and as a result less MG within the cancer cell. Based on this you could argue that we should better stop CA while on MG so that we maximize the MG production next to the one that we administrated from outside the cell. However, this is betting on MG only. Also note that as discussed in the article above, during chemo more MG will be produced within the cell. All in all, from MG perspective only, it would help to stop CA while on MG, but from a holistic perspective we may want to maintain CA as it adds one more chance. Instead of stopping CA I would better focus on ways to inhibit Glo as discussed above, and that also includes stopping Metformin which seems to actually activate Glo as indicated by the article posted recently by Pouya below. Regarding HCA, from a scientific point of view, there is no reason to stop it while on MG. So it says : In diabetes mellitus patients,chemo works better. Than everything changes?Does it mean that we should not use metformin with chemo? Does it only changes glycogenesis? According to the above overall, Metformin is expected to help in Ovarian cancers with or without chemo, regardless of the Glo1 activation. Also, do not forget that at this point we only have one paper on Metformin as a Glo activator. But many papers on Metforming as supportive in ovarian cancer case. We have to learn to decide, in the context in which things are not black or white. I know is not that easy, but that is the way forward. My brain stopped thinking really today.I wish our brain changes for only some minutes. I think i am going to drink something. When we begin chemo firstly mothers blood glucose was 200 nearly.And declined to only 5 with chemo. May be resistant cells and sensitive cells are different totally. Sorry ca 125 declined to 5. Ok i will write tomorrow,but that was not my success,chemo and nerium oleander did it. And blood glucose was always high. And tomorrow adrenalin day as Mr Halabe says.Blood counts day. It is the result of everything you did and you din not 🙂 It is the result of a longer time you invested in, not just one day. does it mean Metformin should be discontinued while on MG treatment? I had previously came across a contradictory result while researching for my own case though. Very interesting and relevant Pouya! Thank you for the reference! Indeed, this would indicate that while Metformin is well known anti cancer drug, one that I like a lot due to its potential, accessibility and low side chance for effects, it should not be used when on MG. It is very nice to see you here and see you strong. May be you dont believe but i am always thinking of you. If we have projects later,it is MUST to see you near us. thanks for your kind words, I have seen you mentioning me in other posts and I believe you and I appreciate that a lot. I usually go to sleep wishing that I won’t wake up the next day but since I keep waking up and cancer is still all I can think of from day to night, I figured I make myself useful and participate in the fight and yes, I also so wish to meet you guys in person and give you the warmest hug ever and I’m willing to make it happen.wish you the best though your fight. I’ll be here and help as much as I can. the roles of both s-p BromoBenzylGluthatione and Ethyl Pryruvate seems to be worth looking into? may be the accessibility is an issue here. ^could this be helpful in treating ascites..
apparently Creatine improves the body’s ability to use Glucose! I wonder if that’s why Prof. Ray didn’t want me to use Creatine at the beginning of the MG treatment. what do you think Daniel? I checked the subject and here is a review indicating it is not clear if that is true in general. Probably, most of the glucose will actually go to the muscles during the exercise. Besides this, I think you once suggested we should have a place where people can generate new ideas outside the posts I published. I think that is a good idea. Can you please let me know if you have more details on how you imagine that? Thank you. second, many topics tend to go off-topic after a while, as you noticed some comments under a topic actually belong to another topic, some of the discussion are not even directly related to cancer, etc. I believe you need to add a forum for the purpose of general discussions in which users are allowed to come up with what ever topic they want and others can participate and brainstorm to see if anything real comes out of it. then, if for an instance the info regarding that subject could be backed by enough science to make it worthy, you can add it as a post to the core of your website. if not, it still helps your website to stay science based the way you want it to be. it also has the benefit of putting the burden of some the research off your shoulders. e.g. you can make a topic, regarding a hypothesis where the element X is worth looking into as a cancer treatment, then others can participate and add whatever they can to that specific subject until a there are enough info that a published article can emerge from it. this is something that can be improved later of course. this is just a rough idea. Hi Pouya, thank you. I understand and will consider starting a forum section. Just that it requires time to set that up and I am one person only. But I promise that will come at some point. I realize it may be too difficult for some readers following all the comments. And there is no way to trim the discussions or to constantly ask for comments in the right article. Do you think is better not to allow comments on future posts, in order not to have the readers confused? Thank you for your comments and suggestions, Pouya. I always appreciate constructive feedback. I was actually thinking along the same lines as Pouya, specifically after seeing the CA thread and having it be tough to navigate comments. I personally think comments should stay. They’re a pretty valuable part of the site specifically because they give us case reports on the various treatments which is as valuable as the theory contained within the actual articles. I am highly excited when i learn this. MG Methylglyoxal inhibits both mitochondrial respiration and glycolysis. This drug is what i want to try with hyperthermia. But as we know MG also inhibits mitochondrial respiration of hearth cells. I wonder is it really a promising drug or just like citric acid on lab. My feeling regarding MG is that is higher risk/higher reward compared to citric acid. I actually see MG from a potential point of view in a category more towards those like 3BP, Sal, Diflunisal. Somewhere between these and DCA if I would place them on a scale of potential effectiveness based on my feeling. But I also feel it comes with risks, although maybe not that high as compared to Diflunisal that comes with bleeding risks (however we use it intensively with no bleeding). So I would not compare MG with CA. By contrast, phloretin, phlorizin, and 4,6-O-ethylidene-D-glucose bind to the estimated import site of GLUT1 (42, 43). Cytochalasin B, phloretin, and phlorizin inhibit the activity of GLUT4 also (44). However, these drugs do not inhibit yeast Hxts.4 Furthermore, as far as we know, no drugs capable of inhibiting yeast Hxts have been found. In that sense, our finding is the first to show a chemical that inhibits yeast Hxts.Thats MG.
Is it MG which we are using now? There are clinical trials in 80’s. Effectiveness of methyl-GAG (methylglyoxal-bis[guanylhydrazone]) in patients with advanced malignant lymphoma. Polyamine deprivation: a new tool in cancer treatment. i don t know what to think else of it? Thanks a lot Ergin! Very nice findings! while I really appreciate all the great work you have done and think MGO has a strong antitumoral effect,as long as you are JUST focusing on killing cancer cells/getting rid of tumors (naturally or with synthetic drugs) and forgetting about seriously building/strenghtening the immune system(a weak immune system is why cancer cells get out of control and why cancer can grow!) you will never heal cancer-even if you manage to get rid of all the cancer cells in the body, if the immune system is weak ,cancer will return(and it’ll probably return in the same places) – i.e. :have a look at how the annecdotal patient in Netherlands is doing.or how cancer returns in other patients after surgery or chemo/radiation or after getting rid of tumors by other means !!! there are so many treatments that can get rid of tumors but if you want to heal cancer for good/long term ,getting rid of cancer cells is NOT a top priority(except when tumors are putting life in immediate danger -i.e. occlusions) .sure, it sounds good and gives peace of mind but cancer is like a fungus-whipe it out with chemicals or with a cloth and it’ll return;change the environment pH and it’ll disappear for good. the same with cancer:raise the pH , build /STRENGHTEN THE IMMUNE SSYSTEM and make sure the cancer patient SURVIVES while doing these and you’ll be safe . with the Issels immune Treatments, so-called ‘incurable’ cancer patients have led full cancer-free lives, some for up to 45 years, and as follow-up to conventional treatment, the cure rate is as high as 87% . Thank you for your comment. I do agree we need to also focus on supporting our immune system. But I do not agree that blood pH will be enough as you stated, to cure cancer. That is not a believe but a fact. I know clinics focusing on that approach and it is clear that is not enough. Also, while I believe and saw advanced cancer patients who eliminated their tumors with the help of various treatment approaches at various clinics around the world, 87% cure rate claim of a cancer clinic tells me you should stay away from them. There is a lot of time that I allocated and will allocate to this website. But I must admit that I only addressed below 10% of all the points I would like to address. So this website does not so far addresses the whole spectrum of approaches that an cancer patient needs to take at the same time. I did not discussed yet the impact of mind, of diets, etc. which I think are very relevant pieces of the puzzle. I also did not discussed yet ways to increase the immune system activity – I intend to do that when I find the time. Instead, I decided to start by first sharing some of the strongest weapons I found that can help address advanced cancers. Those are the cancers that will not response to a change in blood pH as you suggest, in most cases. Also, those are the cancers that do not respond to an improvements of immune system activity. For those, you need more effective treatments that can affect directly the tumors. I do think, that when cancers are in very initial stage, immune activation will help. But when you deal with advanced cancer, the story is different because of multiple reasons. I do recognize the origin of your statements. I read a lot of the website stating that, at the beginning of my dive into the cancer world. But most of those statements are not rooted into serious science but mostly are anecdotes. And during time, I saw patients following those anecdotes with no success. That was when I realize that the first filter we need to apply when information comes to us, is the scientific filter. You have to ask yourself: Is there strong enough scientific evidence? If yes, are there peer reviewed case reports where human have been cured using that approach? And if the answer is YES, it means you are on to something real. If not, skip it fast and move forward. I am not saying that this route will offer you 87% chance of success. But it will help you filter out the noise and focus on approaches that offer real chances for response. Cristian, I know you are very well intended man (as I think we did had a few e-mails exchanged) and you believe in what you are writing. But my friendly advice is to zoom out a bit from that perspective you are focused on now, and look from other perspectives too. Again, I believe that immune system is important and should be addressed. But tumors create an environment in which activated immune system does’t work. And that is not only related to extracellular pH, but much more than that. This is why I think when designing a treatment strategy you need to address multiple cancer hallmarks and make sure you include the most relevant ones. Dear Daniel, I not that of a good man but I wonder where I mentioned raising blood pH (of course you know it is not good messing with blood’s ph ) and that being the answer to cancer? As I made myself misunderstood I will say again I was referring to the ENVIRONMENT’s pH(meaning pH of cells and their surroundings) to STOP THE RAPID SPREAD (cancer spreads faster in an acidic environment) of cancer or even put them into hibernation or kill them(i.e. see cesium chloride, baking soda etc)- you have addressed this issue as far as I know. focusing on mainly killing cancer cells fast is not what we need to focus – i.e.you know the body and liver must be able to eliminate dead cancer cells or the patient could die! my point is we need to be balanced and work on a multitasking approach. Measuring progress /results solely on size of tumors is a trap(i.e. tumors might “apparently grow” due to the immune attack) as well as relying on what is ‘strong scientific evidence’ is a BIIIIIG trap(and by strong scientific evidence I am referring to what the medical community is acknowledging at this time ). ” Many experts agree that one could prevent about 80% of all cancers in man, if one could keep away the known carcinogens from the normal body cells. This prevention of cancer might involve no expenses, and especially would require little further research to bring about cancer prevention in up to 80 percent *). *) Since this estimate was published, some though 80% even to low. Yet prevention remained taboo and early diagnosis was the only consolation that was offered. Why then does it happen that in spite of all this so little is done towards the prevention of cancer? The answer has always been that one does not know what cancer or the prime cause of cancer be, and that one cannot prevent something that is not known. But nobody today can say that one does not know what cancer and its prime cause be. On the contrary, there is no disease whose prime cause is better known, so that today ignorance is no longer an excuse that one cannot do more about prevention. That prevention of cancer will come there is no doubt, for man wishes to survive. But how long prevention will be avoided depends on how long the prophets of agnosticism will succeed in inhibiting the application of scientific knowledge in the cancer field. In the meantime, MILLIONS of men must DIE of cancer unnecessarily. You see Daniel lot’s of NATURAL treatments work and have a great amount of science behind them (and you will realize this if you start putting into practice NATURAL treatments that former patients say work ). The main problem is we live in a world where conventional medicine is not looking for the best treatment (wich is in most/probably all cases a natural remedy God has already built as the Bible assures us) that but for the most expensive. NO mane maker, no ‘scientifc evidence’. On the other hand thanks to good people who risk(ed) their lives (i.e. : Nicolas Gonzales, Dr Riordan who is died just before publising the clinical trial on IV vitamin C and other people willing to risk their lives to help others …solid scientific proof starts to pop up on pubmed and other similar scientific communities’. My advice to you is to investigate better natural,plant based treatments backed up by testimonials even though they ‘lack scientific proof ‘ or ‘have been classified as ‘ quacks’ .I think you will be surprised to see they actually and practically work. 1. no matter the stage, God and God’s creation( Nature) work. 2. Nature does not work well or does not work at all ON LING TERM when combined with ‘scientifically proven’ chemotherapy and radiation. I have seen my mother’s case and other’s similar cases impaired by chemo and radiation and how they struggle and die even though they eventually try natural remedies as a last resort. And I have known other people with same type of cancer in more advanced stages that doctors gave days/weeks to live and they got better with natural treatments. And I am not the only one that has had this PRACTICAL EXPERIENCE. did you have a look at the issels results and case though?! Please excuse me. God Bless Us! – what I just want from us is to go beyond pointing fingers to anyone suggesting that someone is against finding the cure. I think it is the framework that we build as society that is not the right one to facilitate a fast progress. And that is what we need to change. But that takes time and will be a long term project. I will be happy to discuss with you any anyone else what could be the ways to achieve that. On short term we have to look in an unbiased way at anything that may be effective and expose that. – I use the “scientific evidence” as a filter. But that doesn’t mean that I do not have an eye on the purely anecdotal ones. I always do. But “scientific evidence” filter I found to work well. Note that in academic space, there is a large group of researchers who are investigating substances without the business reasons behind, making the scientific evidence unbiased in many cases. Their results include many many natural products. Some of them I already addressed. – I know people who have good outcome with Curcumin and I know people who have good outcome with Chemo. So, suggesting to people to go one way or the other will not make me slip well at night. Who are we to suggest what is better. What we should do is to expose new treatments that may be effective or ways to improve current treatments, based on scientific and anecdotal evidence. And people should decide what is best for them. Yes, it is clear that the chemo route is more likely to come with strong side effects, including lethal. That is well known, and people need to consider that as well. In order to progress we need to move forward in a constructive manner: i.e. we need to get the best out of this world whether it comes from an university, a pharma company, an alternative clinic/doctor/scientist or any other source such as TCM. who/what is stopping you at helping the immune system identify those cells? digest those proteins that coat the tumors with proteolitic enzymes, raise the ph around cancer cells, starve cancer cells with cesium chloride…there are so many techniques that help the immune system recognize the cancer cells. 2. inflammation and swelling occurs when the immune system recognizes and attacks cancer cells-but again, you have lots of great anti-inflammatory substances such as DMSO/MSM, cucurmin,boswellia,etc. I so much understand your angle. The elements you mentioned are good, with the exception of cesium chloride. However, all those elements are not enough when fighting aggressive and advanced cancer. We tried them all and intensively in our first year (with the exception of cesium). I know also doctors who tried cesium chloride on many patients and no response – only complications from that. I like enzymes and we used constantly high dose of some of the most relevant ones – I intend to write a post on that too. But it is not enough for most people. In theory sounds great to use enzymes to digest proteins that coat tumors and activate the immune system, and that’s it. I know those stories very well. In reality enzymes (not all but those used in alternative world) are a too soft approach for advanced cancers – one that should be used as a background approach but not as a main approach. pH subject was discussed here https://www.cancertreatmentsresearch.com/ph-cancer-a-top-treatment-strategy/ and I think the best approach to re balance pH around the tumors is not to focus on outside but on inside using proton transport inhibitors or even better, focus on inhibiting fermentation (glycolisis). That is working at the origin of the acidity. We discussed many inhibitors of fermentation on this website. I like Curcumin, I like Broswellia, I like DMSO, I like enzymes, but all of these are not enough to fight advanced cancers. (The exception in my view is Curcumin IV that can be effective in reducing tumors as I do know people who experienced that.) These and many more natural supplements, I would use them as a background treatment. But on top of this, we need to add the “tip of the arrow” treatment. That is what I am trying to address here. Finally, I think that your first question still doesn’t have an answer today. If it would, cancer would be cured. Immune system is extremely powerful – better than anything. But no one today, understands why it does’t work against cancer. There are off coarse a lot of ideas, and some may work in some cases, but the world is still walking in the dark when we speak about understanding the immune system. Since we do not have time to wait until the world understands the immune system and create effective solutions based on that, we should work in parallel and attack cancer from angles that we think we understand better, and that have been proven (by trusted sources) to be effective in humans. I hope one day we meet and discuss these points in details. Many celebrities and executives in America went to Germany to be treated by Dr. Nieper, including a U.S. president. Dr. Nieper died in 1998. Treatment was performed on 50 patients during the last three years at Life Sciences Universal Medical Clinics in Rockville MD and in Washington D.C. All patients were terminal subjects with generalized metastatic disease. 47 of the 50 patients studies had received maximal modalities of treatment, i.e., surgery, radiation, and various chemotherapy, before metabolic Cesium-treatment was initiated. Three patients were comatose and 14 of the patients were considered terminal due to previous treatments outcome and cancer complications. The Cesium-treatment was given in conjunction of other supportive compounds under diet control in addition to the utilization of specific compounds to produce adequate circulation and oxygenation. According to individual cases Cesium Chloride was given at daily dosages of 6 to 9 grams in 3 equally divided doses, with vitamin A-emulsion (100,000 to 300,000 U), vitamin C (4 to 30 grams), zinc (80 to 100 mg) selenium (600 to 1,200 mcg) and amygdalin (1,500 mg) in addition to other supplementations according to the specific needs of the patient. The diet consisted mainly of whole grains, vegetables, linolenic acid rich oils (linseed, walnut, soy, wheat germ) and other supplemental food. To increase efficiency of the treatment and improve the circulation and oxygenation, the patients received the chelating agent EDTA, dimethylsulfoxide (DMSO) and also a combination of vitamin K and Mg salts. The 50 cancer patients studied over 3 years had generalized metastatic disease, except for 3 patients. Initial death occurrences for the initial 2 week treatment was in the same order and magnitude of these recorded for the 12 month period. The percent of survival of breast, colon, prostate, pancreas, and lung cancer accounted to approximately, 50% recovery which was higher than that noted for liver cancer and the lymphoma patients treated. An overall 50% recovery from cancer by the Cesium-therapy was determined in the 50 patients treated. Data from the autopsy made indicated the absence of tumors in patient dying within 14 days of the Cesium-treatment. One of the most striking effects of the treatment was the disappearance of pain in all patients within 1 to 3 days after initiation of the Cesium-therapy. Though it is a very powerful treatment and can offer terminal cancer patients many chances, CESIUM comes with many WARNINGS (warnings that many cesium vendors „fotget” to mention) and should NOT be used by everyone(ATTENTION those with DANGEROUS TUMORS( any situation when the temporary tumor swelling or inflamation can put the life of the patient in danger: BRAIN cancer, LUNG cancer,etc. ). Also , Potassium levels MUST be monitored. My question regarding ‘scientifically proven’ could have been different-how do you expect to find a long term solution to cancer by researching among data that does not offer a long term solution? I know the stories Cristian, but unfortunately all the feedback I have from doctors and patients is that Cesium doesn’t work. Trust me, I would very much like that to be a positive feedback and immediately I would write a post on it. I am always open to change my view if there is evidence I am wrong since life of people is what matters not my beliefs. What do you mean with “researching data that does not offer a long term solution”? If you will read my post, you will find references to reports showing long term response to various cancers based on various substances (drugs and non -drugs; natural and synthetic). there are many other potent treatments like mgo or cesium or vitamin c or honey , cucurmin, etc but these are just pieces of the puzzle and I do agree the puzzle for all cases has not been solved – but for some it has been and we should learn from those long term remissions even though thy are ‘anecdotal stories’. I simply cannot understand how we may learn from ‘scientific’ cases that lack long term results , focus solely on putting tumors into remission and accept only 5 year survival rates, NOT cures. I really am very enthusiastic about studies popping out confirming WARTBURG’S , SZENT-GYORGI’S,PAULING’S and other findings of great scientists that date from last century;but that is also my problem-they date from last century and they are only popping out now and in limited amount and in combination with conventional treatments that have shown no major improvement for over 50 years. Thanks but I think we are all smart here. That is what brings us together here: being smart and proactive. I do not intend to work with patients – that would be too much for me in terms of responsibility. Otherwise, my exposure to the real world has been extreme, unfortunately. Not to speak about the constant feedback I receive via doctors and patients from around the world on what works and what doesn’t … that for me is enough exposure to the real world, for now. Regarding the pubmed, the value of having something published there is that the claims are checked by referees (although that is not a guarantee since these days there are so many unchecked or poorly referenced papers – this is why you still need to make your own due diligence). An example of a pressure test for using scientific evidence vs not using that is e.g. Curcumin vs. B17. Check for the science on B17 and you will find very little trusted sources supporting that. Check the science on Curcumin and you will find a huge amount of trusted sources supporting its anti cancer potential. Next check with an unbiased cancer clinic for how many cancer patients have responded to B17 and check same for Curcumin. Then you will understand my point. But please check this with unbiased doctors from alternative clinics, and avoid those using the anecdotal marketing behind B17. to prove I really appreciate you work (and envy you to some point 🙂 ) , I am picking up some studies and treatments presented here;but from what I have witnessed from discussing with cancer patients, I cannot agree with conventional treatments too much , that is why I was so ”aggressive” above ( I do not others to suffer ). Thanks Cristian. I would appreciate if you add links to this website when you are going to write articles based on the content consolidated here. I very much understand your irritation regarding current status in the cancer treatment world. I am one of those who can understand it the best given the loss of my dear wife. But I think we need to consider all the tools available in this world, and perform a strong pressure test on them since the world is full of anecdotes. Considering true, what we are fighting?? Such a simbiosis?? I belive or this is customized, something like bacteriogram, or no solutions in short times . Bacterias inside tumor, that helps to be resistent!!! Very very interesting Jandro. Thanks for the link. This reminds me of a very good scientist from US who suggested I should always treat my wife with anti parasites, anti bacterial drugs prior to any major treatment like chemo or 3BP or anything I expect to be effective. Exactly due to the reasons explained in the article. This article reminds me that such approach (anti parazites/anti bacteria) may have to be a rule prior to initiation of anti cancer therapies. Also note that this article was published in Science, one of the most prestigious scientific journal where usually only breakthrough discoveries are published. what an amazing find! And how much these pioneers were maligned by the mainstream cancer industry for claiming they saw “microbes” in the tumour! Now published also in Science… I haven’t read either article in full, sorry. But drugs become resistant often due to an ABC transporter protein that will carry the drug back to the outside of the tumour. And these transporters also exist in bacteria, cause of resistance to antibiotics. Could that be also the mechanism to account for the resistance of the tumour, I wonder? hi Helga- please send me/us that link from Science.Thanks in advance! regarding ABC transporters, that is only my musing. But bacterial and human ABC transporters show about 30-50% sequence similarity on the protein level, so if they saw such phenomenon, they could distinguish between the human and bacterial variant by sequencing it. true.i thought you were referring to something else. are you referring to Robert O Young? He was arrested recently for his “pseudoscience”. There is a blogger, “science-based medicine” who is apparently a paid shill for big pharma, who blogged about Young. Firstly thanks for entering this communication,we really need those kinds of arguments here.This makes us stronger and knowledgable. How did you come to Methylglyoxal post ? What makes you to come here?Which searching? Cow urine treatment which has MG inside. Please look at this link.Daniel also mentioned it before.But i think it is very important. May be thats why some patients doesnt respond to MG. I have become excited about the idea of combining a range of synergizing chemicals with MG. The suggestion above is to combine MG, vitamin C, B vitamins and Creatine. I have started to wonder why not use the tumor specific forms? NanoMG was found to be up to hundreds of times more powerful than straight MG. Anyone know what the toxic dose of NanoMG is? Not so sure about the curcumin because you would want to stay away from anti-oxidants when using pro-oxidant Vitamin C. Would be great to add in a tumor specific Glo-2 inhibitor. This would deplete GSH levels. Being specific in this way one could have a very large effect on the tumor. It was suggested above to use a fairly modest Vitamin C dose of perhaps 400 mg.
What why a larger dose was not suggested? HI J, there are so many effective drugs that could be brought to the tumor via encapsulation …. I also very much like this idea and it should be so easy to implement based on the existing science and technology … but somehow that does not happen which I find it strange. I hope and expect one day we (and by that I mean you, I and others interested) will be able to do it. This comment was moderated due to unsuitable content. Thank you for your understanding and please post valuable content. 22mg per 2.2ml? That’s like 1/15th the concentration of the scbt.com source. lullabyman, MG has you thinking too? What would happen if all energy supply were removed from cancer cells, while normal were undisturbed? The metabolic perspective greatly simplifies what can be an overwhelmingly convoluted topic. I typically search out the leading edge of the fancy science, though there are now quite a few apparently innocuous chemicals that when combined properly could have very large anti-tumor action! This judicious avoidance of an optimal response, that you noted, was most strongly noticeable to me with the methylglyoxal, vitamin C, creatine combination. 400 mg of vitamin C (as you noted in the form of Chewables?)??? Is that a joke? 400 mg of vitamin C might give you a pro-oxidant effect!!! Why go with the minimum possible vitamin C dose? I am not totally sure what the state of the art of maximal vitamin C iv dosing might be, yet 200 grams might not be far off! We have reached an era of cancer research where there is an apparent lack of effort to gain every last inch of treatment power. Back in the 1970s there were human clinical trials in which a substantial percentage of the cancer patients had fatal side effects and the trial would continue without stoppage! In the current era there is often a large dose buffer in order to avoid toxicity of any kind even in the lab models. Avoiding any and all potential for the possibility of even temporary mild side effects is not consistent with the best interests of desperately ill cancer patients nor is it consistent with international human rights legislation. Yes, the vitamin C + doxycycline was an impressive result; one does see how substitutions might be advantageous. Hmm, vitamin C is a not so good an OXPHOS inhibitor? That sounds right, though of course references are wanted and needed! In terms of buying methylglyoxal without prescription, does this include chemically refined MG or only the refined Manuka honey? I remember seeing the Puerto Rican vitamin C study. It was just that I am always worried that something unexpected might happen when a treatment is changed around. I would not think that a combo of metronomic vitamin C and MG would cause trouble, yet with these combinations it is almost certain that they will never be tried in a clinical trial. In fact, some of these do not appear to have even been adequately tested in lab models! One is always left with a certain uncertainty. As it is there is vitamin C, MG, and 3-BP which all have strong monotherapy selectivities for glycolysis and/or OXPHOS. Putting them together in an optimized treatment could give very impressive results. One might simply start with the basic treatments, acquire a comfort level with them and then up dose and reformulate. -Start with the generic MG protocol: 40 mg/kg/day oral MG taken in 4 divided doses, 500 mg oral vitamin C chewables, creatine etc. – With the generic protocol up dose the vitamin C and switch to iv dosing. – Perhaps updose somewhat with the MG.
-Move to iv MG dosing. D’s dosing suggestion for iv MG was 10 mg/kg/day which I would guess would give you much higher blood levels of MG. Still this would be 500+ mg per day iv which seems like quite a bit. It shows me that there is a fair amount of wiggle room involved in the dosing. I realize that most people want to avoid the synthesis route, though the benefits available from this synth are notable. The method that was used involves no complex chemical lab procedures at all. The big problem that appears to eternally recur when people avoid the synth lab is that they will up dose on the raw chemical: this is typically a very poor strategy. In one of the figures I saw on MG, it was quite startling to see that once a high dose was reached, even doubling the dosage resulted in no further increase in concentration in the cancer cells. What you would be doing is simply increasing the toxicity for all the normal cells.